How to use Instagram Story Highlights for business? Want to get more out of your Instagram stories? Interested in changing the content of the stories on your Instagram profile? The Instagram Actual Stories feature allows you to combine several stories from Instagram into long-term content that your audience can find at a convenient time for them. 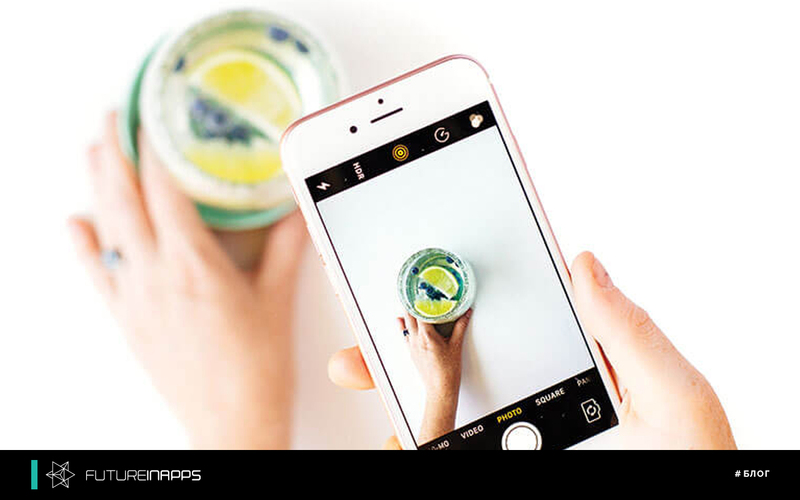 In this article, you will learn how to create albums with Instagram stories for your business. The Highlights feature began to spread to all users in December. Those who have it, can notice it in the section under the bio in their profile on Instagram. If you have not created any actual stories, the circles will be gray. To create an album from your profile, click on the + icon in the “Current Stories” section. When you add a new selection, a list of your Instagram history files appears on Instagram. Simply select the ones you want to add to this album and click Next. Using the function, all selected stories will be archived in one album. Next you need to choose a cover. And name the album. The name length can be up to 16 characters, but not all 16 characters. The cover can be any. Even just a picture, not related to the story. Click “Change cover”, and then drag, zoom and change the position of the cover. For example, the company Futureinapps decided to place the icons of social networks so that the people who entered could easily find us everywhere. When you're done, click Finish and you're done! Your new album will be displayed in your profile. To add or remove content from an album, click the three dots in the lower right corner and select Edit. Further you delete unnecessary and add new ones. This is what we do when we fill out our album “Infovaccina”. In this album, we place the most relevant articles from the section on our website. The user can go from the story to the article of interest. As stated above, you can add links to the storyline, which can lead to the product or service page on any resource! If you do not have a website, then the link may lead to the Instagram post, which may have already been lost among others. Links can be drawn using icons and animations, which is rich in Instagram. They should call the user to “brush up” so that he is at the right address. You can add more albums by following the same algorithm as above. During testing, we were able to add more than 20 albums without problems. However, when viewing your profile, only four highlighted albums will be clearly displayed. If you have five or more actual storiz, they will be transferred to the right side of the screen. Opportunities "Actual stories" are wide. The main thing is to be able to use it. Use them to present your product, share backstage stories or lifehacks, increase brand awareness, etc. Structure your content with “Actual Story”! Actual storiz - this is essentially the menu that we used to see on the site. Fill this menu as you see fit! There are many creative ways to incorporate the new Highlights feature into your Instagram promotion. Use this valuable thing in your Instagram profile to create your brand, gain the trust of your audience and drive traffic to your site. The company Futureinapps is engaged in the promotion of business in social networks. Trust the professionals!